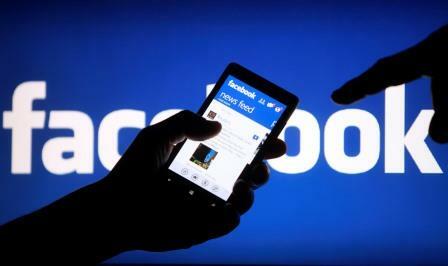 This week in social media, Facebook finally fixed its battery-draining iPhone app. Meanwhile Twitter's CEO gave millions worth of stock to the company's employees and Instagram announced yet another new video app. 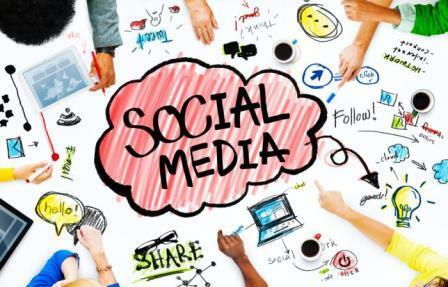 It's time for Social Media Sunday! "The first issue we found was a 'CPU spin' in our network code. A CPU spin is like a child in a car asking, 'Are we there yet? Are we there yet? Are we there yet?' with the question not resulting in any progress to reaching the destination. This repeated processing causes our app to use more battery than intended. The version released today has some improvements that should start making this better." The second issue, according to Grant, involved how the Facebook app was managing audio on iOS devices. "If you leave the Facebook app after watching a video, the audio session sometimes stays open as if the app was playing audio silently," wrote Grant. "This is similar to when you close a music app and want to keep listening to the music while you do other things, except in this case it was unintentional and nothing kept playing. The app isn't actually doing anything while awake in the background, but it does use more battery simply by being awake." Grant said iOS users would see improvements to battery life in the new update, and promised that he and his team will continue to work on improving the battery usage of the Facebook app. In a new challenge to Google's dominance of search and Twitter's hold on real-time news, Facebook announced the rollout of an expanded Facebook Search, called Search FYI. Now, according to the company's announcement, Facebook searches for news topics such as "Mets World Series" or "Halloween Costumes" will return results not just from friends and pages you follow, but from the total index of Facebook's over 2 trillion public posts per day. The company is also rolling out improved, personalized search suggestions as you type, in another move that will make Google unhappy. Right now the expanded search feature is only rolling out on the U.S. English version of Facebook. 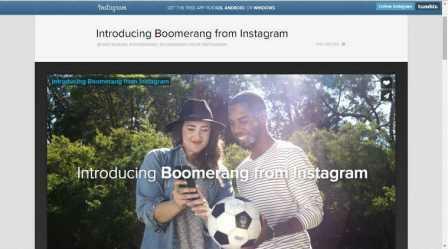 Somewhere between a photo and a GIF is Instagram's new video app, called Boomerang. The Facebook-owned image-sharing network announced the new mini-video app for iOS and Android on Thursday, promising it was a tool that could "transform an ordinary selfie with your friends into a funny video," almost automatically. "Press a button and the app does the rest," said Instagram on its blog. The app takes bursts of photos and puts them together into a mini-video that can play forward and backwards -- hence the name -- which, of course, you can then share on Instagram. "Capture a friend jumping off a diving board, defying physics as she flies back and forth through the air...Get that exact moment your friend blows out his birthday candles, then watch them come back to life again and again," Instagram suggested. Whether the "back-and-forth" motion app leads to hilarity or quickly gets old is yet to be seen. After Jack Dorsey's major shakeup at Twitter last week, in which 336 of the company's staff, or eight percent, were laid off, the new CEO of Twitter offered those who remained something quite valuable: a third of the stock he owns in Twitter. That, according to NPR, amounts to about one percent of Twitter's stock that Dorsey is donated to his employees, which may not sound like much until you know its valuation: a little more than $200 million. Dorsey tweeted the move on Friday, saying "I'm giving ~1/3rd of my Twitter stock (exaction 1% of the company) to our employee equity pool to reinvest directly in our people." He further explained in a later tweet, "I'd rather have a smaller part of something big than a bigger part of something small. 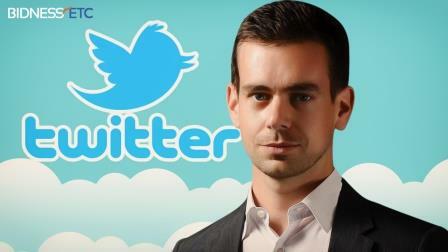 I'm confident we can make Twitter big!" Twitter introduced a new feature called "Moments," at the beginning of October, promising to round up important tweets, articles, and trending photos into convenient category tabs like News, Sports, Entertainment, and Fun. The company didn't waste a moment finding ways to make money off of the new content discovery feature, announcing to Bloomberg on Friday "Promoted Moments." The advertising channel will be available for a 24-hour period to marketers, launching this weekend with content promoting the new movie "Creed." Twitter didn't disclose its ad rates or sales process, but it's safe to say it'll be a substantial new revenue stream, since as opposed to single promoted tweets, Moments allows advertisers to incorporate more photos, videos, tweets, and other content to build a comprehensive story around their product.